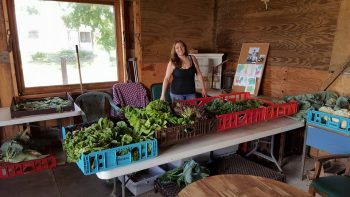 Home / CSA / DELUXE SHARE – 2019 LEWIS FARM C.S.A. DELUXE SHARE – 2019 LEWIS FARM C.S.A. 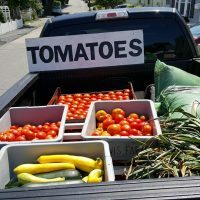 Grown right here in Concord tomatoes and cucumbers, green beans and lettuce, radishes and beets, kale and sweet potatoes, melons and berries and much more are harvested and washed just for you. Each week we’ll walk you thru the items available in the sales barn and help you make your selections. You get total flexibility to customize your CSA share. And we’re working on a few special items that will be available only to our delux members, such as early season access to our Asparagus and Cherries. As well as special access to events on the farm beyond the CSA member discount. We are supported by you. The more signups we get, the more varieties we will plant. Delux Shares are ONLY available for pickup at our Sales Barn on Tuesdays between 1 and 6 pm. 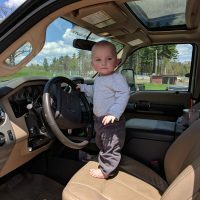 STANDARD SHARE – 2019 LEWIS FARM C.S.A. BI-WEEKLY SHARE – 2019 LEWIS FARM C.S.A. 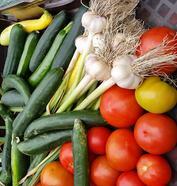 Have your CSA share delivered each week.